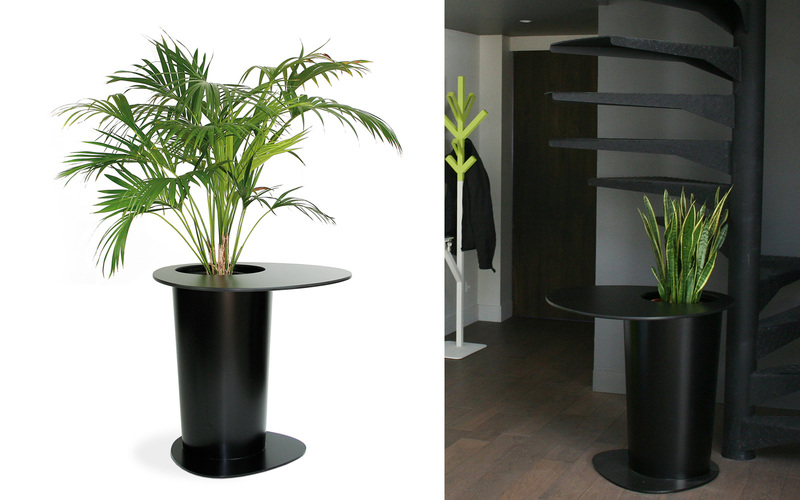 Indoor and outdoor table with integrated planter. Compact laminated table top, foot made of steel coated with baked polyester powder finish. Tray for planting made of polyethylene with a rotomoulding manufacturing technique. > Colors: 2 standard colors : Black and White. Other colors available on request.